For those who adore contemporary pieces, those who appreciate the true essence and passion for craftsmanship and those who prefer a more serious, fearless style for their interior home design, the Bonsai Dining Table is a dream coming true. 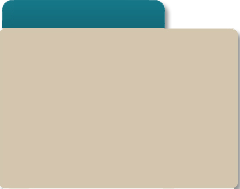 By definition, Bonsai is a Japanese art form using cultivation techniques to produce small trees that mimic the shape and scale of full-size trees. The true beauty and joy behind the idea of bonsai is found in trying and attempting to perfect the craft. 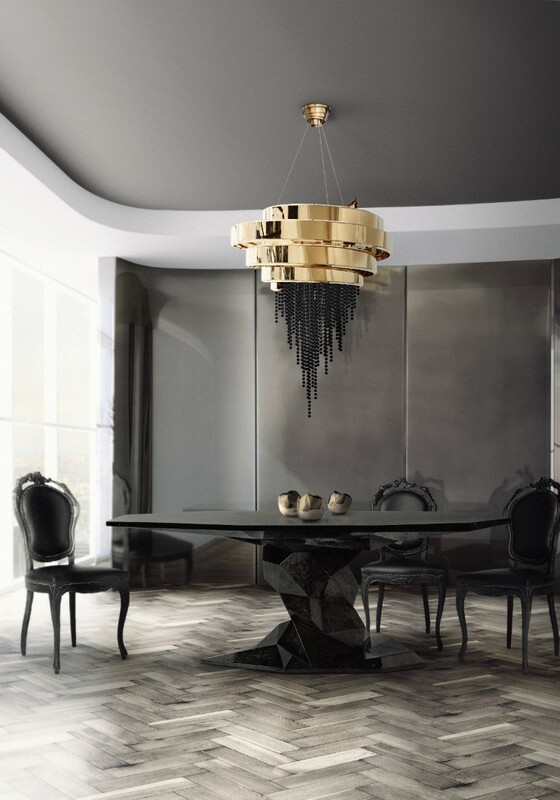 As a consequence, inspired by this fine art and the relentless effort to perfection, Boca do Lobo combined this traditional idea with an innovative and contemporary mentality and came up with the Bonsai Dining Table. With a futuristic look, this table brings a modern approach and yet a very elegant and glamorous touch to any dining design. Extreme simplicity, contemporary aesthetic and seductive power: these are the characteristics reflected in each detail that make the charming Bonsai love at first glimpse. With this stunning handcrafted piece of luxury furniture, this exclusive brand elevates design to a whole other level. 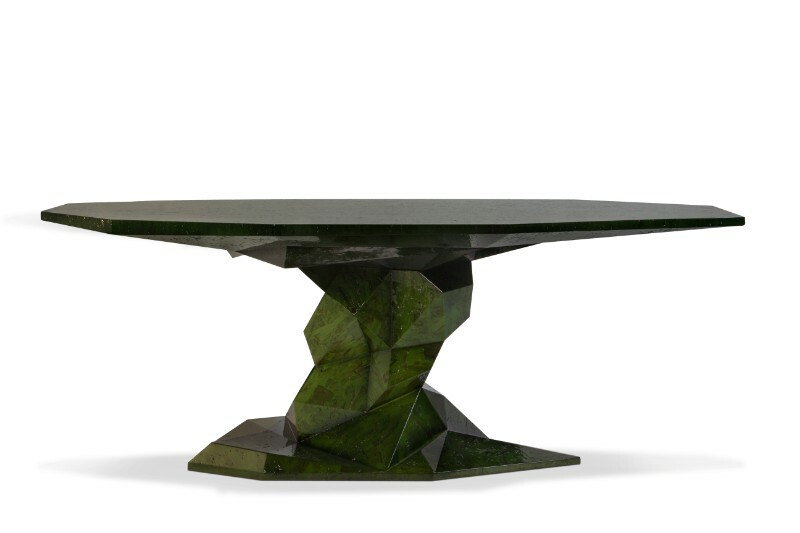 Manually produced from wood with an irregular surface finish and a unique faceted form, this table comes in a high gloss rainforest green version. However, this extraordinary piece comes out also in black lacquer for an elegant, sober design, but still, its sublime synthesis of styles and senses is intensively present. 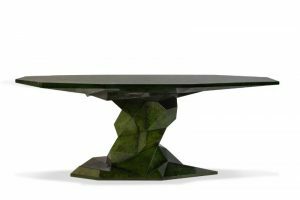 All in all, as an outstanding moment of inspiration, the Bonsai Dining Table concept was created to fulfil the needs of whoever looks for the best in contemporary furniture design mixed up with luxurious details and high-quality materials.